The United States Department of Agriculture claims that corn is used over 90 percent of feed grain production. The corn drought in 2012 was expected to cause retail food cost to significantly increase, mostly for poultry. In Omnivores Dilemma, Michael Pollan states that corn is used in some way for the production of all food items found in a grocery store, besides salt. Our dependency for a single plant makes our society malnourished since corn has very little nutritional benefits. In this Garden Paintings Series, the surface was built up with industrial process that include concrete. They were then buried in the ground to grow seeds over them to allow the roots to attached themselves to the painted surfaces. 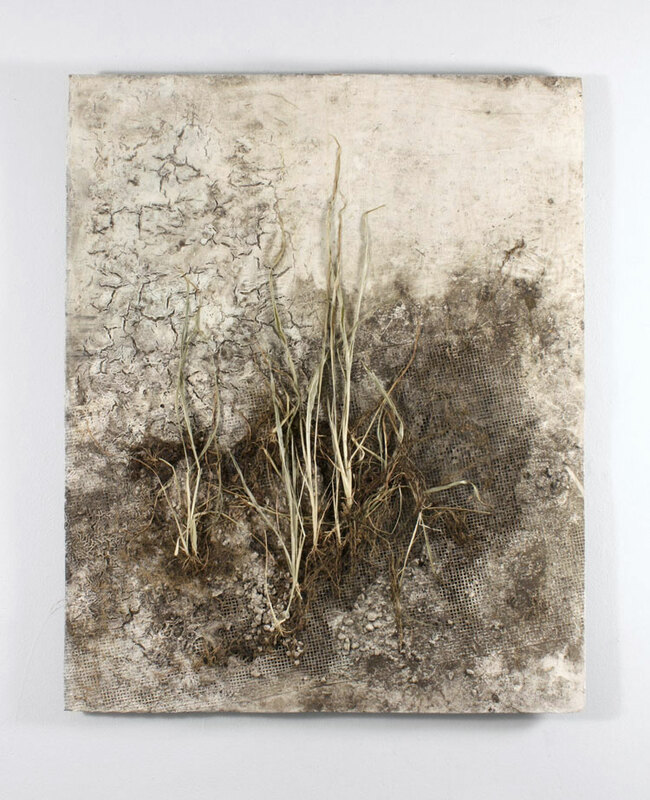 Corn Plant, Concrete, Dirt, Acrylic Paint, Metal Mesh on Wood Panel.